AZEK Building Products manufactures home building materials under two divisions: TimberTech® and AZEK® Exteriors. TimberTech offers a premium portfolio of capped polymer and capped composite decking – as well as railing, porch, lighting and paver products – while AZEK Exteriors manufactures distinctly unique trim and moulding. Together the brands present homeowners, builders, architects, dealers and contractors with a comprehensive suite of first-rate products that are long lasting, sustainable alternatives to wood. AZEK is headquartered in Chicago, IL (with plants in OH and PA) and also owns Minneapolis-based Ultralox railing systems. AZEK Building Products recently realigned its Outdoor Living department under the TimberTech umbrella. 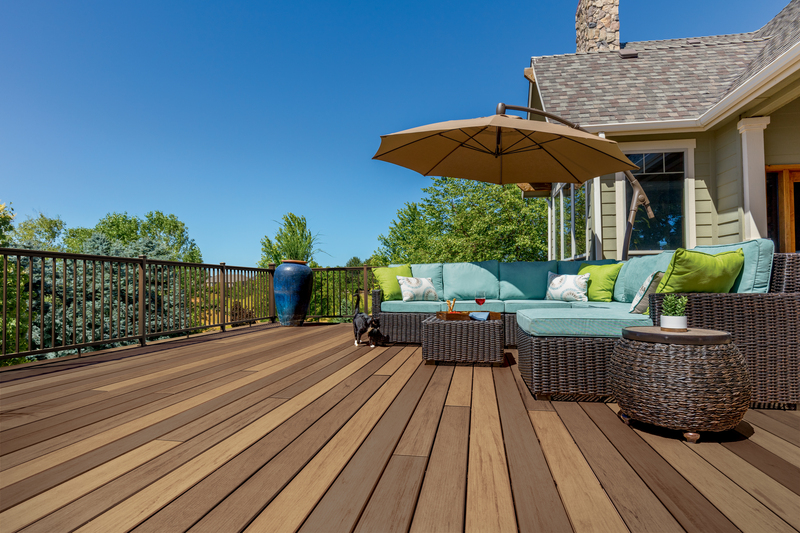 But, in addition to premium, capped composite and capped polymer decking materials, our product portfolio reflects railing, porch, pavers and lighting as well. Known for design versatility and technological superiority, TimberTech and AZEK are both considered best-in-category. And with the widest selection of colors and styles, industry-leading warranties and superior safety, TimberTech is the leading brand for homeowners looking to reinvent their outdoor space. AZEK Exteriors, the umbrella for AZEK Building Products’ trim and moulding business, is focused on manufacturing residential trim products that are both durable and beautiful. AZEK Exteriors understands that even the smallest details make a difference – and that quality materials are essential. Our products are tailor-made for individual tastes, add style to any structure, offer incredible design flexibility and industry-best warranties. It all adds up to the reliability you’ve come to trust from the #1 name in premium trim: AZEK. Ultralox is committed to providing the highest quality products that offer long-lasting, made to order railing styles. Our beautiful and durable railings are available in both easy to install, convenient kits as well as customized railing systems that will make your projects stand out from the crowd. We are proudly made in the USA and have extensive experience and understanding of the various installation processes. Count on us for quality railing and fencing solutions to withstand the tests of time and the elements.